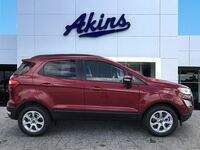 We spent a lot of time taking in-depth looks at all aspects of the 2018 Ford EcoSport lineup in our Akins Ford Blog during the lead up to its American debut this model year, but now that we’ve got it here on our Akins Ford lot near Atlanta, GA, we’re ready to take those in-depth looks to whole new levels. 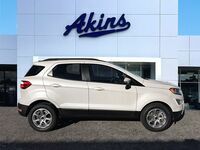 More specifically, we’re ready to start comparing the all-new Ford EcoSport lineup to the competition to see just how successful its debut is going. And, if this 2018 Ford EcoSport versus 2018 Toyota C-HR head-to-head comparison is any indication, the 2018 EcoSport lineup is set to quickly take its rightful place at the head of the compact SUV class. 166 HP and 149 lb-ft. 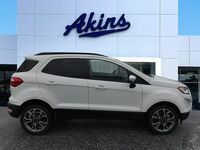 Maximum Power Ratings 144 HP and 139 lb-ft. 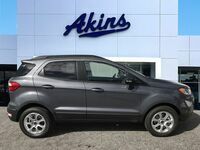 If you were to simply judge a book by its cover here, then the 2018 Ford EcoSport lineup would easily come out the victor when compared to the 2018 Toyota C-HR lineup thanks to its sporty and refreshed exterior style. 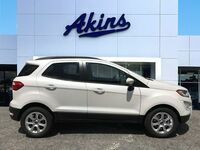 But we’re not here to just compare the looks of these two SUVs, we’re here to see what makes each tick. And there’s no better way to start doing that than to pop the hood and see what’s powering the 2018 EcoSport lineup and the 2018 C-HR lineup. 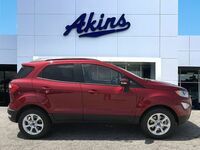 As outlined in our comparison table above, the 2018 Ford EcoSport lineup offers far more power than the 2018 Toyota C-HR lineup – 166 horsepower and 149 pound-feet of torque to 144 horsepower and 139 pound-feet of torque. That power difference does lead to a slight fuel efficiency advantage for the 2018 Toyota C-HR lineup, but it’s not a big enough difference to make the 2018 Toyota C-HR lineup more appealing than the 2018 Ford EcoSport lineup. Moving on to the interiors of the 2018 EcoSport lineup and the 2018 C-HR lineup, you’ll find the 2018 EcoSport lineup to be far more spacious than the 2018 C-HR lineup, as it provides far more passenger space and cargo space than its Toyota counterpart. 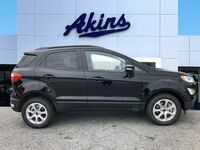 If you’d like more information about the 2018 Ford EcoSport lineup and everything that comes along with it, please get in touch with our staff here at Akins Ford near Atlanta, GA. 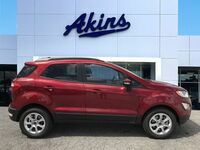 Interested in a Ford EcoSport?